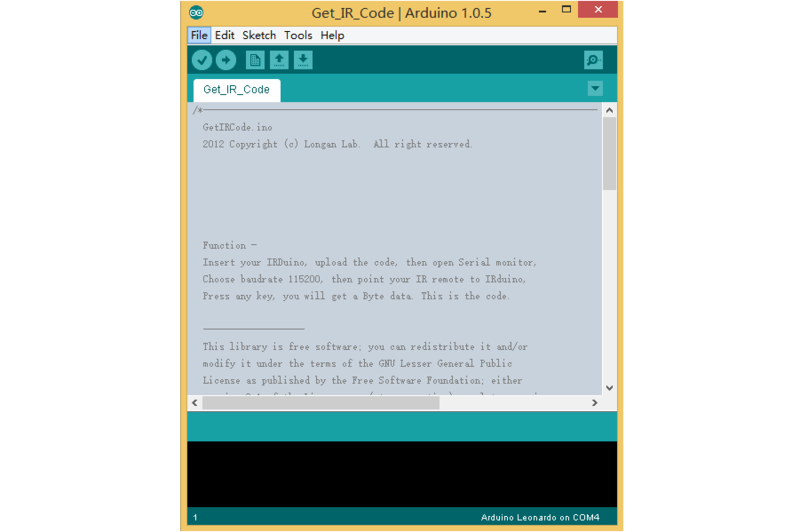 Here we will take an example to show you how to use IRduino. I’ve got a TV remote by hand, and I want to control my PC via this remote. I notice there’s UP, DOWN, LEFT, RIGHT as well as an OK button on the remote, it’s very coincidentally that there’re such arrow key on the key board, so this example is to tell your PC press those key via IRduino and the TV remote, and the ok button will control the SPACE key. You can download the code at Github, it’s an Arduino Library. 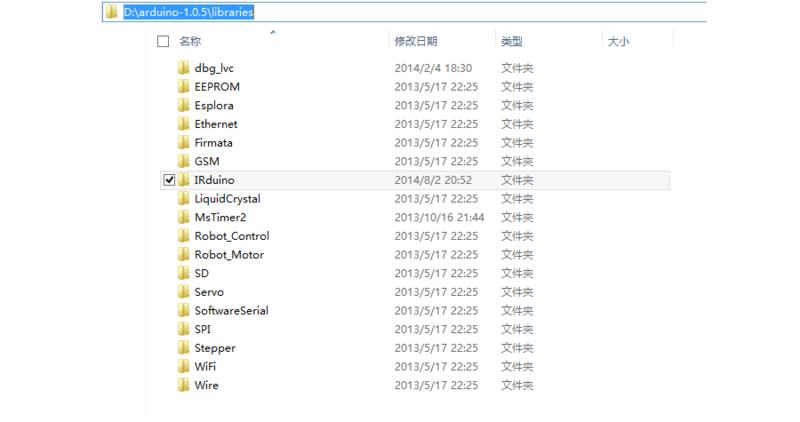 After download the code, extract it to the libraries folder of your Adruino. If there’s “-master” in the folder name, just remove it, otherwise it may cause some compile error. IRduino can support almost all the IR remote on the market, include RV remote, Air conditioning remote and even your DVD remote. Open Get_IR_Code example on the examples folder of IRduino library. Tool -> booards to select Arduino Leonardo, then the right COM. 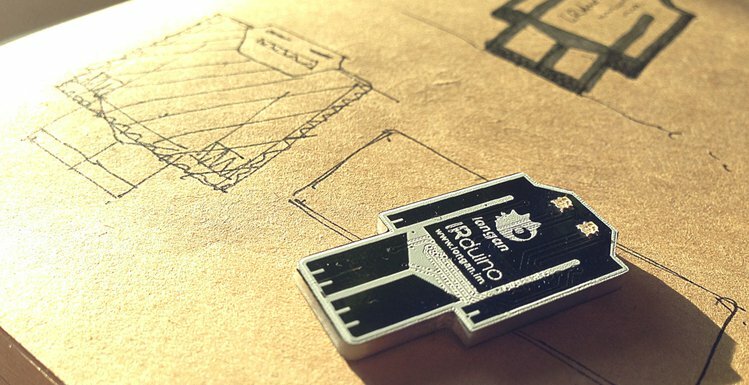 Finally, upload the code to your IRduino. Remember this value, which is important in the next step. I guess you have had ideas about these four function. Yes, they just press and release some key on your PC. Use addItem funciton to add the task, then your press the key on remote, IRduino will run the task function once.